It has been almost a year since I've posted on here, and I apologize for my silence. When I started this blog I was a young teenager hoping to become more comfortable with writing online through practice. In the beginning I posted more regularly, and this wonderful little site served its purpose. Thanks to practice gained and the help of a wonderful Catholic scholar, I am now a columnist on two online websites, a contributor on another, and it is my personal goal to work hard to be published in ink again before the year ends. All that being said, the time has come to officially announce that I will no longer be posting here. I will keep the link up so that all the old posts can be accessed, but no new posts will be forthcoming here. Though this has been quiet, I have been busy writing in other places, and I hope those of you who enjoyed and were helped by my blog will check out my writing elsewhere. I am a monthly columnist on IgnitumToday and Catholic Stand, and a (very) occasional contributor to the Ink Desk- an online wing of the St. Austin Review literary journal. My contributions to the latter should be increasing as time passes. Thank you for your support and encouragement over the years! I have loved being able to get to know a couple of you better through online interactions, to have been invited into your lives as I invited you into mine. I pray that my writing has helped touch hearts and inspire the weary as we all strive to reach our Heavenly reward. May God bless all of you, and once again, thank you for reading and supporting me when no one else even knew who I was! I will always be grateful, and will keep you in my prayers. Have a blessed Holy Week, and farewell! They say sharks must remain in constant motion in order to stay alive. Lately, my life has looked a lot like that of a shark- for not only must I remain moving, I'm afraid to stop. I've written before about my need to plan things, and a lot of various changes and considerations as of late have left my full-proof plans foiled, and aspects of my future in questionable haziness which I cannot penetrate. My workload this summer has been heavy, demanding, and though every day I wake up dreading the endless shifts ahead, even on my rare days off, I find I can't stop moving. In her song "Lament", Audrey Assad asks "Why is it easy to work and hard to rest sometimes?" The answer, at least in my case, is very simple: because when I'm moving I don't have to face the silence. When I'm moving I can pretend my life is under control. When I'm moving, I can make myself believe I'm out of God's reach, and maybe I can actually make some plans that work, that won't be ruined or changed. When I'm running away, I can convince myself I'm ahead, but it's when I stop that the silence comes crashing down, and with Linkin Park I cry "I don't want to be the one the battles always choose, 'cause inside I realize that I'm the one confused". I didn't realize how long I had been running until something made me pause and the silence scared me, because suddenly I'm lost, strayed further than I intended. And I need to get back, but I can't. The way back is so hard, and full of those quiet moments of surrender where you let go of everything, and your soul dangles suspended in the space between "my will" and "Thy will". Those moments that require complete trust as you hold your breath and wait to see where God directs you. Those times when I cannot control anything, those times of complete death to self. They pave the way back, the way that I must stand still long enough to find. But I'm a shark in the waters now, and not only am I too afraid to stop... I can't. Why Everyone Should Just "Let It Go"
After watching Disney’s extremely popular and highly controversial Frozen for the third time last night, I’ve come to the conclusion that everyone- bloggers, movie reviewers, and Facebook moms included- needs to just “cool” down, take a step back, and examine why this movie has had so much opinionated hype swirling around it in the first place, and whether or not the concerns are justified. As soon as the trailers for this movie were released, the whispering started. The feminists and anti-feminists were the first ones to jump all over it, because even the trailers made it clear that two strong female characters dominated the plots of this film. Right away judgments were flying. Many praised the film for following in Brave’s footsteps, proudly picturing girls who could hold their own and do things for themselves. As the movie was released and began to circulate, the overwhelming majority of those criticizing it decried its pro-gay message, claiming the entire movie was a subliminal promotion of “coming-out”, claiming split-second appearances of a gay family in one scene, and an overall message of homosexual toleration. As always, the Christians also had something to say, some finding positive themes and echoes of moralistic truths etched within the icy scenes, while others feeling the attempt to Christianize the film is a stretch. A simple Google search of the movie will reveal all of these and more debates encircling the film which has won over the hearts of the general public. In a world that is constantly promoting immoral and questionable lifestyles, I don’t blame people for jumping all over a movie that definitely strikes out to be a little bit different than the classic fairytale. But I think that the concerned suspicion which has become all too necessary when examining new media releases may have impaired the ability of many to just enjoy something for its entertainment value, without it having to be either the Devil’s latest tool or God’s newest revelation. Do I think Frozen promotes feminism or immoral homosexuality? No, but I also don’t think it is a pillar of Christian virtue either. While there is something to be said for making sure one does not expose his kids to something that could influence their mental formation or give them the wrong ideas about good and evil, I think it is also possible to become a bit too paranoid when screening movies. The depth and plot twists in Frozen are too complicated for the majority of kids to understand. From experience, I’ve seen that kids who love the movie know all the songs, love singing them at the top of their lungs because they’re catchy- NOT because they like the messages that might lurk behind them, think Olaf is hilarious, the girls pretty, and the guys cool (though not nearly as handsome as Tangled’s Flynn Rider, of course…). 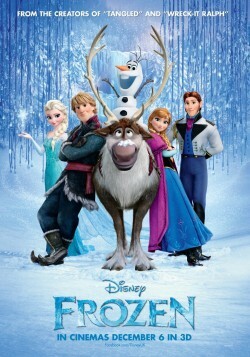 The adults are the ones who are offended, but if they stopped to look at their kids they would realize that as long as they are raising them well, in a wholesome environment, teaching them about the faith, and striving to cultivate virtue, a Disney movie with a troubled Queen is not going to turn the daughters feminist and the boys gay. It’s a visually beautiful movie, has some genuinely funny scenes, and I personally believe could be twisted, turned, and sold as either the most positively Christian film to come out in a while, or the most problematic film to become a hit. Just like the majority of animated films these days. The problem is not the amount of kids who are watching the film. The problem is the amount of adults who are spending more time analyzing every tiny detail of Disney’s latest releases than they are on forming their kids. To be entirely honest, the majority of Disney’s princess films could promote problematic ideas in a household where virtue has not been taught. But as Catholics the educating of our children in the faith is of primary importance, and thus should already be forming the kids before they’re being exposed to any films. The beauty of Christianity is that, if one has been properly formed and cultivated in its virtues and teachings, he can turn any work of art into something beautiful, can see the truth amidst the grey areas, and appreciate it. Am I saying that this means anything is okay, as long as kids know the ultimate truths? No, but I am saying that kids growing up in a strong Catholic environment can and should be allowed to enjoy the entertainment value of a fun, lovely cartoon without any parents feeling guilty. Parents, don’t let this become the next Harry Potter or Twilight. If you’re concerned, sit down with your kids and talk to them about the movie, listen to what they have to say. If they bring up any questions that concern you, address them. But I think you’ll find that they’ll just giggle about Olaf’s quips, scold Prince Hans for being so tricky, talk about how cool Elsa’s ability to create an outdoor ice-skating rink in the middle of the summer is, and erupt into choruses of “Do You Wanna Build a Snowman?” And you’ll be able to come away relieved and free to just take that worry and “let it go”. One of the beautiful gifts God blessed me with during my freshman year of college was a strong, honorable, devout Catholic boyfriend. I feel incredibly blessed to be in such a wholesome, loving relationship so early in college, and I know we are both looking forward to all the future holds. Relationships are fun and wonderful things, but they are also a lot of work, and can be a source of many valuable lessons. Ever heard the saying "Patience is a Virtue"? Well, from experience I can tell you that you never learn how true that is until you are dating, though it is a lesson which is valuable to everyone, no matter what your state in life is. The key to patience is learning to resist the impulse. An impulse is an inclination to react a certain way in that moment, without thinking, often based off of immediate feelings or desires. For example, if someone hits you, your first impulse might be to hit them back, because you're offended and angry, not because you took time to think about the offender's motives and what would be the best course of action. Though not all impulses are bad, they often need to be accompanied by a little rationality and moral judgment before they are followed. Relationships are full of impulses because they are full of emotion. In the beginning, when everything is so new and the main attraction is physical (not the ONLY one, of course), there are so many impulses to act on that initial desire. Are these bad impulses? No, they are completely natural, just like your impulse to defend yourself when you're hit. But should they always be followed? No. Learning to resist these impulses, to give up what one immediately wants for the sake of doing that which is safer, kinder, more virtuous, and based in true love and wisdom, cultivates a virtue quickly being discarded in the world of immediate satisfaction. It cultivates the virtue of waiting. Waiting is a virtue which, once cultivated, serves the soul in so many situations, helping it come closer and closer to God by forsaking that which would harm it. This is why the spiritual Fathers always recommend fasting as a discipline to help dispel lust. Fasting denies an immediate desire, forcing the appetite to become accustomed to not always being satisfied, and teaching yourself that it is not the base desires which rule and direct you, but the higher, loftier goals. The wonderful thing about waiting, though it can be incredibly hard, is that it is always rewarded, especially when it is joined with a prayerful offering of that which is given up to God. Is waiting always enjoyable? Certainly not! Right now, I am missing my boyfriend terribly, and still have several weeks to wait until I see him again. But these summer weeks of separation are allowing both of us to reacquire the good habits the college lifestyle encouraged us to forget, to re-examine our spiritual lives, our relationship with clear minds, to become a part of our families again, and grow individually in the ways we need to, not only for our own sakes, but for the sake of being the best we can for each other. Do I wish I could drop everything and drive to see him right now? Of course, but if we always satisfied our impulses, we would be missing out on the graces God is making available to us, the lessons we could be learning, and the virtues we could be cultivating by waiting. Just like waiting to cross the line of physical affection leads to a deeper, truer, more full love based on more than lust, and eventually leads to a more beautiful marriage, in which chastity and respect are upheld, learning to wait on the littler things: whether it's waiting at the red light instead of risking your own life and that of others, forgoing that drink so that you can drive yourself and your friends home from the party safely, turning down a date with that guy who has a questionable reputation, or skipping dessert to achieve a weight-loss goal, every single thing we decide to wait for, every unwise impulse we learn to resist, makes our lives that much better, and strengthens our ability to discern between what is necessary, what is wise, and what is harmful, physically or spiritually. And once you learn to wait on the little things, you suddenly discover that God provides temptations which should be resisted for our own good, that He sees everything we give up for the sake of following Him, and that waiting on His timing instead of our own often brings about rewards greater than the desire forgone originally. Learning to wait makes you step back and examine how much the desired thing is truly worth to you, and oftentimes the longer you wait to receive it, the more you learn to value, respect, and cherish it. 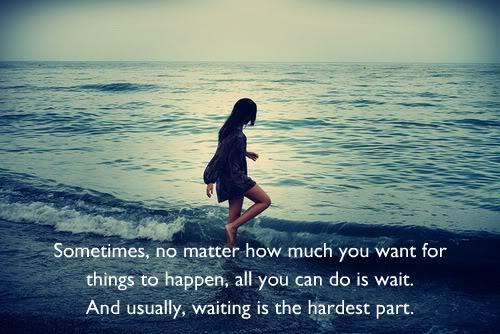 And, believe me, if you wait for God to satisfy your heart's desires, He will always make sure it is worth the wait! God bless all of you as you endure, and learn to embrace, your own seasons of waiting! My prayers are with you! Both images from a Google Image search. Jumping back into the online writing world, beginning with sharing this article I wrote for Christendom College's student journal, The Rambler, entitled "Someone, please, like me" about the digital age and the need to feel loved. I promise I have not fallen off the face of the Earth, forsaken or given up on this blog, or suddenly run out of things to say. This semester has been even busier than the last and thus too many things, such as leisure reading, writing, and blogging, have become lost luxuries. But, I have many ideas for posts, and the restlessness that writers feel when they've abandoned the pen (or keyboard, in this case) for too long is settling in, and I hope to provide you all with more activity once the month is over. Thank you for your patience, for continuing to follow me, and I hope your Lenten season has been a holy and meditative one! Here's a few links to past posts about Lent that might provide inspiration for both new readers and old friends, and some other old posts I thought I'd resurface just for fun, and to give you all something to remind you of what is to come! God bless and enjoy the last few days of March! Modern media is very good at making normal people, especially women, feel inferior. Magazines picture society's most beautiful women, modified because even they are not as perfect naturally as the ridiculous standard says they should be. Movies feature the most attractive actors and actresses doing everything unbelievably well in the most unrealistic situations. The popular music hits are very manipulative, glamorizing immoral lifestyles and objectifying people, neglecting to uphold the dignity of each person and only focusing on the pleasure one's body can provide. A woman cannot go throughout an average day without being told in multiple ways that she should drop twenty pounds, increase her muscle tone, decrease her personal value, and make herself available to every man who wants her, because her purpose is to please men with her body by selling herself as an object in the way that she dresses and behaves. Men, though not under the same, constant, visual pressure, are sold a false, dumbed-down definition of manhood. They are told to act on their basest desires, not to think, but to listen to impulse, to view women as objects for their enjoyment, to chase them like animals rather than pursue them like gentlemen, seeking physical satisfaction alone and lowering their standards to match society's lowered expectations. This sad picture of secular society explains why so many teenagers and young adults today struggle with self-image. After all, it's hard enough to believe you're beautiful and valued when the hormones and challenges of transitioning from childhood to adulthood begin without all of the outside pressure. And in this digital age, growing adults are faced with so many more visual reminders of what society claims they should look like and what their lives should be. Too many teenagers struggle through high school without ever having anyone tell them that the cultural "norm" isn't normal, they aren't supposed to look like that, and that they are truly beautiful when they are striving to be the best versions of themselves, not the closest copies of other people. This post is for those who haven't been told yet that they are valuable, worthy, and beautiful, because they are children of God. God has formed and fashioned each one of you, and He does NOT make mistakes. Maybe you aren't as attractive as you think you should be, maybe you've had people say unkind things to you about your appearance, but please let me remind you of something: you are worth so much more than your visual appearance. Every single person has been created by God in a certain way, and every one of you is special in God's eyes. He made you look the way you do for a reason, and- once again- He does NOT make mistakes. By hating your appearance, you are hating a work of God's hands, and that is not only detrimental to yourself, but also offensive to Him! 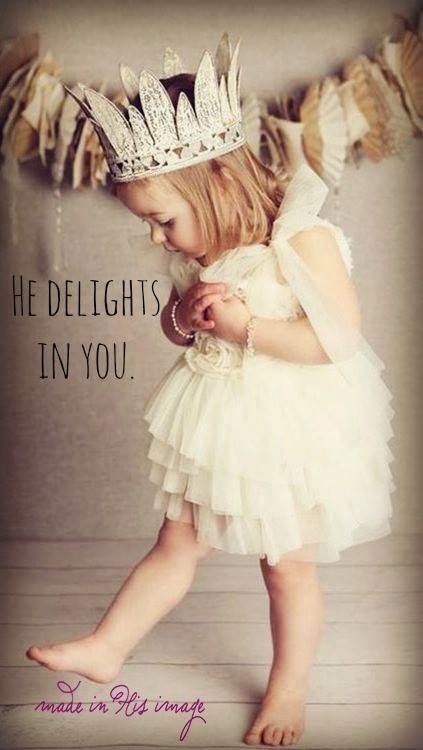 He is your Father, you are an embodiment of His love, and you are amazing! Just stop, look at yourself, and realize that every single inch of you was specifically designed by God, and He finds it "very good" (Genesis 1:31). And so I challenge you today to stop trying to measure up to society's demands of you, because let me tell you a secret: you never will be able to, no one ever can, because you will never be perfect enough. Society takes all you give it, eats it up, uses it, and then looks for more. It is never satisfied, and will never give you the affirmation you are looking for. So stop caring about what Cosmopolitan says you should look like, what the movies tell you your life should be, and start working to please the one Being whose opinion really matters. Today, I challenge you, to stop asking "Am I pretty enough for guys/girls/my friends?". Tell yourself instead, "God loves me, and when I live my life for Him, my love shines through, and I can find my beauty in my identity in Him". "I am beautiful because God made me, and He does NOT make mistakes". When you live for God, and make His opinion the most important, and stop worrying so darn much about what "other people" think, then you are set free to grow and become the person God intended, and you'll discover that you've been stifling all along, but that God enables you to breathe deeply, live fully, and laugh joyfully again. "Do you not know that your body is a temple of the Holy Spirit within you, which you have from God? You are not your own; you were bought with a price. So glorify God in your body." Greetings Readers! My name is Abigail, and I am a budding Catholic author blogging for the sake of practice. I write about a variety of things, ranging from media to religion, and love doing it! I hope you enjoy your visit, and please come back again! God bless! All material, unless otherwise noted, is the original work and exclusive property of A. C. Reimel . Awesome Inc. theme. Powered by Blogger.